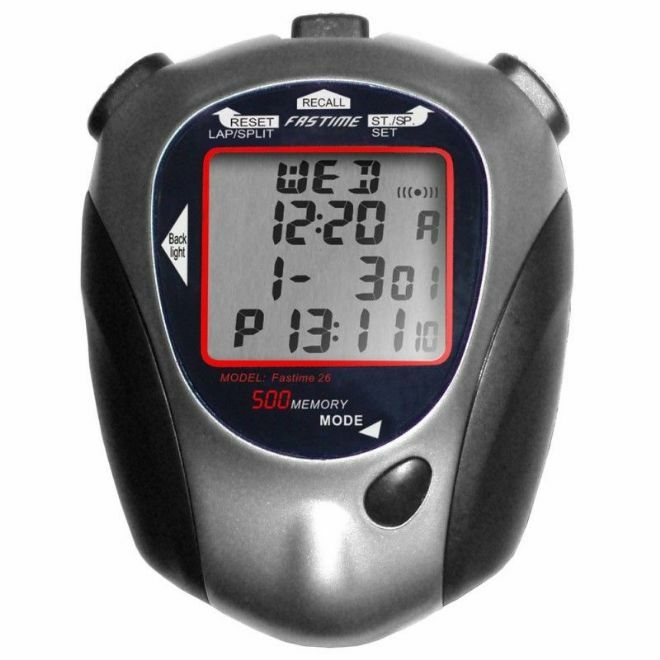 Professional 500 lap memory stopwatch. Data can be downloaded to a Windows PC via a USB connection. Quad display with a dual countdown timer, pacer, time/date functions and alarm. 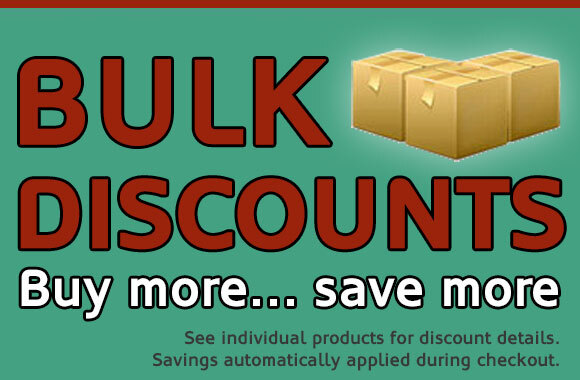 Ergonomically designed for excellent response when pressing buttons. 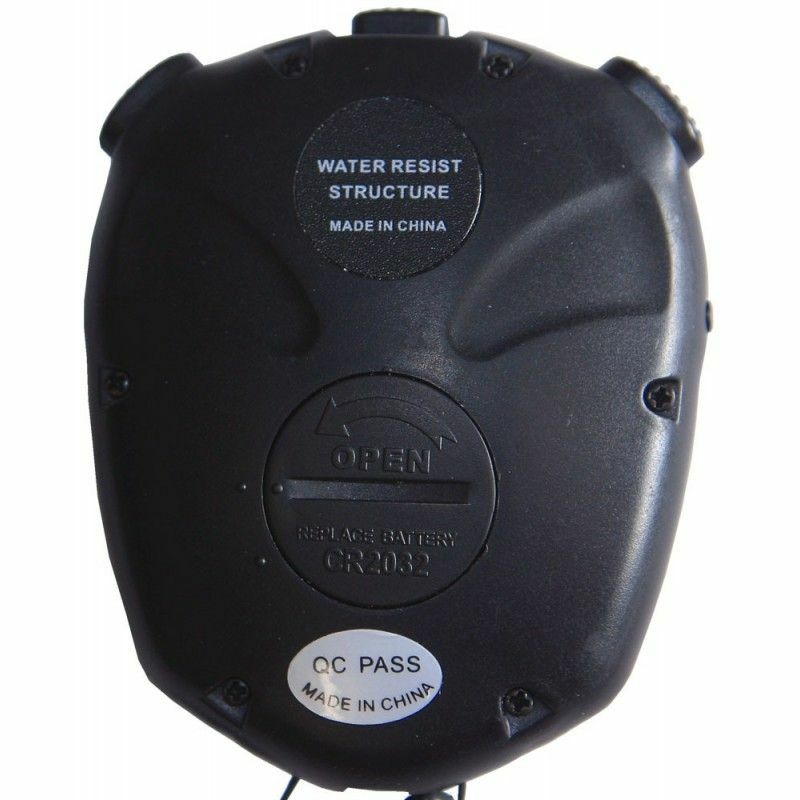 Rear battery door allows the battery (CR2032) to be changed easily. 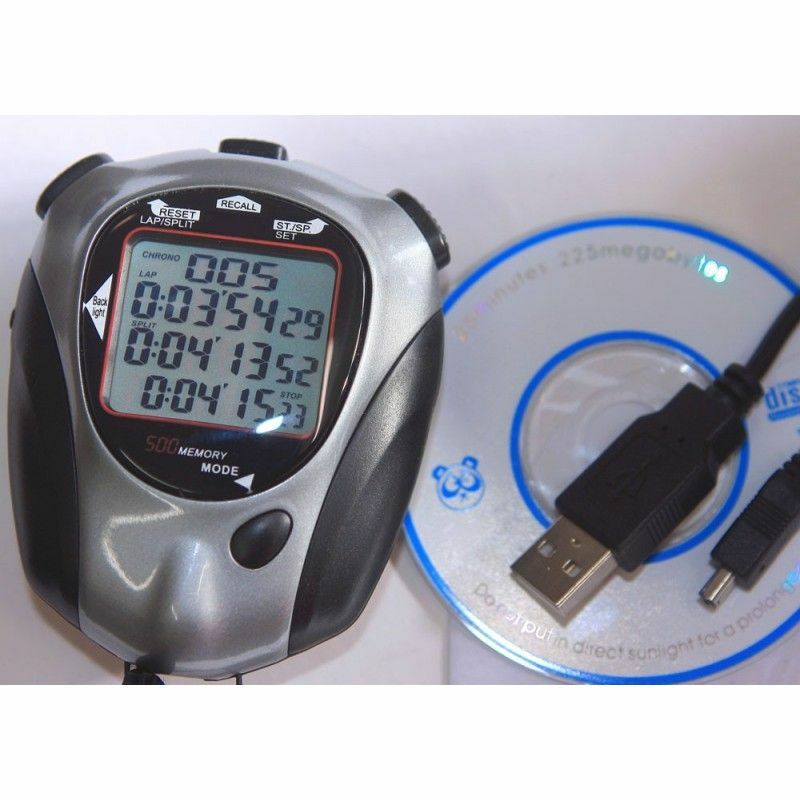 USB cable and Windows software included to review and analyse data recorded by the Fastime 26. 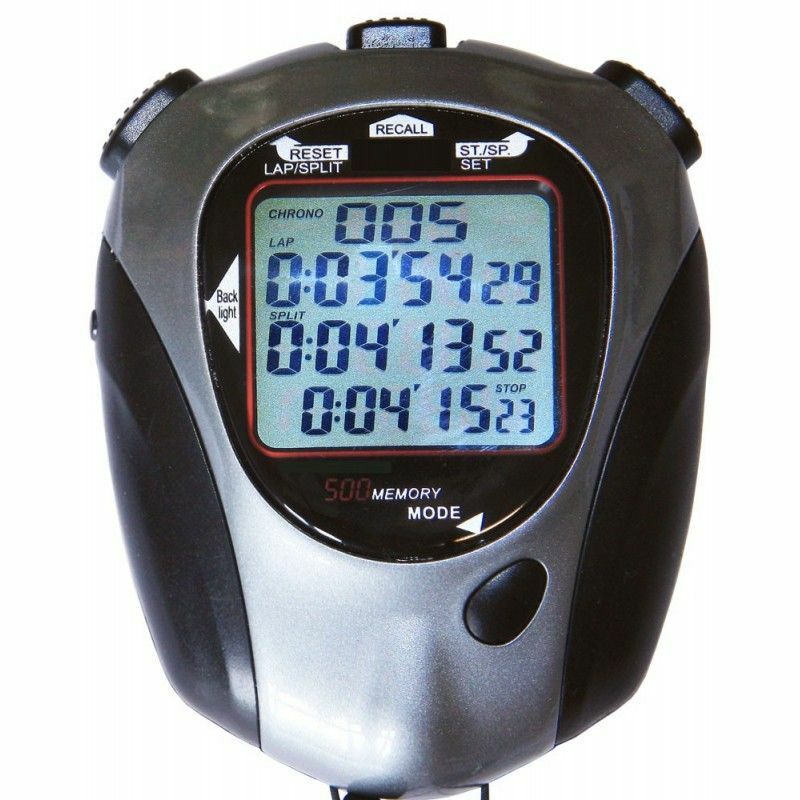 4 line display shows a lap counter, last lap split time, cumulative split time and cumulative running time. Times up to 9 hours, 59 minutes and 59 seconds in 1/100th increments. 500 cumulative times and lap split times can be stored in memory. 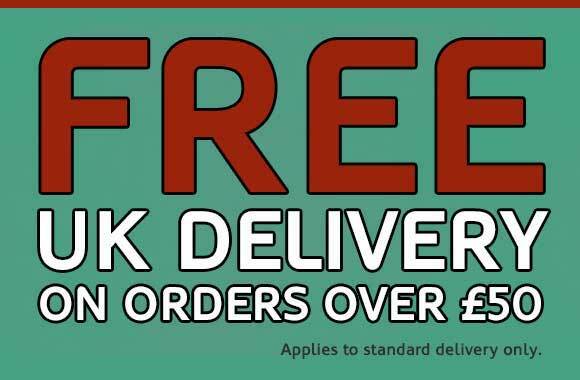 Fastest, slowest and average lap times can be retrieved. 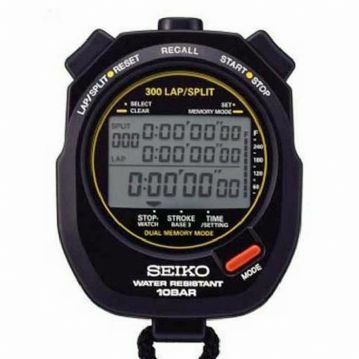 Lap/split times in memory are saved until the stopwatch is restarted for a new timing session. 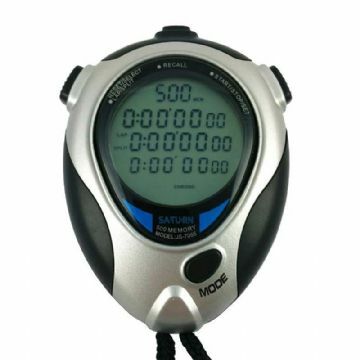 Metronomic counter that allows the user to set a beep pace between 10 and 320 beeps per minute (10, 20, 30, 40, 60, 80, 100, 120, 160, 200, 220, 240 or 320). Display shows the current beeps per minute and a count of 'beeps'. Counts down from a specified time. 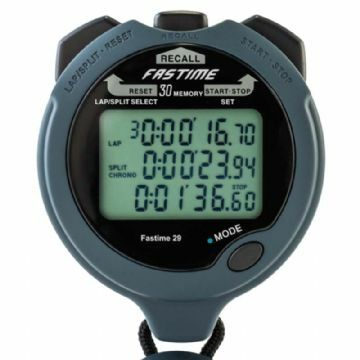 Once the timer reaches zero, the Fastime 26 beeps, increases the lap counter and automatically resumes a fresh countdown. Maximum 9 hour, 59 minutes and 59 second countdown. Two timers count down individually from a specified time. Once the timer #1 reaches zero, the Fastime 26 beeps then automatically starts timer #2. 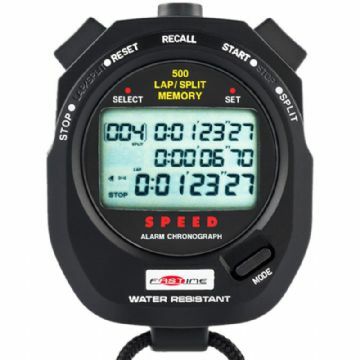 Once timer #2 reaches zero, the stopwatch beeps, increases the lap counter and automatically resumes a fresh countdown with timer #1. Both timers can be set for a maximum 9 hour, 59 minutes and 59 second countdown.